The recent article in the Washington Post (WP) titled Dog Fight, written by Kim Kavin who is seemingly a commercial dog breeding proponent, should instead use the caption “Dog rescues, flush with donations, buy sick and abused dogs from the USDA breeders they scorn.” There are two sides to every story. You need to hear about what it’s like for the dogs that are in the hands of USDA dog breeders. The comparison of USDA dog breeders and rescues is anything but accurate. The “shadow market” referred to in the WP article, is not created by the rescues but instead by the underworld of the USDA commercial “breeders” that produce thousands of puppies each month, close to a million a year and the dog auctions that help keep these breeders in business. She tries to paint the dog rescue community as nothing more than a pet store or as she refers to them as “retail rescue” where some rescues go to dog auctions to buy puppies produced from the very same USDA puppy mills that supply 99% of America’s pet stores and adopt them out as rescues. She uses a very small group of rescues to paint the entire rescue community in the wrong colors. If she was pro-rescue at all, then why not point out the horrors of puppy mills and dog auctions instead of promoting both? She highlights two Missouri dog auction houses that together since 2009, have sold 5,761 dogs auction style. That’s right, auction style. Let’s talk about these auctions for a moment. Most of America does not know this horrific underworld even exists and most of America would be horrified at what takes place during the auction process. The conditions the dogs are in both mentally and physically at the time of the auction sale, as well as the treatment they endure in the USDA breeding factories they come from, are anything but what mainstream America considers humane. The auctions say they are open to the public, but no cameras are allowed inside. They claim they don’t want to be exposed by animal activist, but what would be exposed? What do they have to hide?Why don’t they invite the media to come and film an auction? Invite several stations? Allow them to come anytime, without warning? These auction houses know that if mainstream America saw what was happening, they would demand it stop. The WP article features the owner of a dog auction, giving him an open platform to showcase his business and make it look as if it is a model place to acquire healthy happy dogs auction style. He mentions his facility receives oversight and regulation from the AKC, APRI, USDA and State of MO as well as onsite inspectors implying this ensures the care and welfare of the dogs. He also mentions he has a full time vet on staff also overseeing the needs of the dogs. Unfortunately, for the dogs, this is not the whole story. If the article was fair, rescue groups would have been asked if they have ever seen abuse at the auctions. If they have ever seen or purchased dogs for sale that have had open sores, broken jaws, infected uterus’s, eye infections, ear infections and or rotted teeth. If they have ever seen the on-staff vet give the same shot to multiple dogs or seen him snip cherry eyes for a $10 fee, a procedure that most vets put a dog under anesthesia for. As for the onsite AKC and APRI representatives, they are there to help register unregistered dogs, so the puppies can then be sold with “papers” and they both in turn receive more registration dollars. Both organizations make millions from dog registrations. Despite his claims, the presence of any of these organizations, USDA, AKC, APRI or State of MO, onsite at the time of the auctions or beforehand does not guarantee or ensure humane treatment of any kind for the dogs. Southwest Auction Services, the largest of the two highlighted auction facilities, is hidden away on private property in rural Missouri. The giant pole barn that warehouses the dogs waiting to be auctioned to the highest bidder in “as is” condition has cages stacked with dogs, it’s a holding area as well as a viewing area for the “livestock” or dogs waiting to be sold. Auctions usually have a hundred or more dogs being sold at one time. The smell is overwhelming, and the dogs are mostly stressed and terrified. The article implies most dogs sold at auction are young healthy happy puppies and that recently some USDA “breeders” are breeding puppies specifically to sell at auction. It gives the impression the auction sale is flush with only puppies and that rescues are there only to buy puppies, so they can in turn sell or adopt them out as puppy mill rescue dogs. The author is using these examples to undermine, discredit, distract from and destroy the overall good work of the rescue and shelter communities. We agree that going to an auction to buy puppies to resell is not rescue. Dog auctions have been operating for 30 years and the truth needs to be told about the USDA breeders that keep the auctions in business. It hasn’t changed that much, dog auctions have been and still are a dumping ground for older spent breeding dogs that are possibly sick, no longer producing profitable litters or for younger dogs that were rejected by the pet store brokers for one reason or another. Also keep in mind, the dogs brought to the auction are sold in “as is” condition. Most of these poor breeding dogs have never had proper vetting, exercise or socialization, they have lived in cages their entire lives like the livestock they are, been bred every heat cycle, been given so many c-sections that they have scars up their sides, have poor body conditions, are sick or no longer producing profitable litters. The fact that these breeding dogs are not mentioned anywhere in the article is very sad. The sale of only happy healthy puppies as they make it sound is deeply misleading. The article includes a quote from the owner of Heartland Sales saying typically 75% of the dogs sold at his auctions go to the “breeders.” The photos below were taken by USDA inspectors. 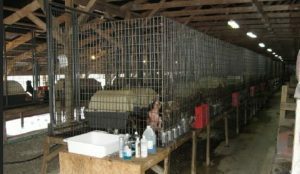 These few examples show conditions of breeding dogs living in USDA kennels.There are hundreds of photos like these available to the public, they all have a common theme. The breeding dogs sold at auctions have most likely spent their lives in overcrowded, probably wire, filthy cages, been kept pregnant, because they are bred every heat cycle and are either sick or not producing profitable litters any longer. The ages range from young to eleven or older. They are being sold in “as is” condition and the auctioneers, vets, federal inspectors, state inspectors and registration bodies understand and overlook these conditions. By the way, these are the parents of the puppies sold in Americas pet stores. Why didn’t Kavin ask the rescues if any of the dogs bought at auction were sick or needed vetting of any kind? I am sure not all 5,700 dogs purchased in the past 10 years were all puppies. Why didn’t she ask the rescues what the overall mental conditions of the dogs they purchased at auction were in? The mental conditions of many of these dogs are a tragedy and this kind of abuse is not OK for America’s dog lovers. The treatment USDA bred dogs endure could be considered animal cruelty or abuse in any other venue but because they are federally licensed and considered livestock in the eyes of the federal government this abuse can continue. Most of the dogs for sale at auction come from USDA commercially licensed dog “breeders” also commonly known as puppy mills. There are around 2,400 USDA “breeders” and dog brokers in the US, housing an estimated 200,000 breeding dogs or breeding “stock.” The “breeders” are commercially licensed by the USDA to breed dogs and produce puppies, in commercial settings guided by the 1966 Animal Welfare Act and overseen by USDA inspectors. These types of “breeders” mostly sell their puppies to USDA Dog Dealers otherwise known as dog brokers who fill America’s pet stores with puppies as well as, online through dog broker websites and social media outlets. Being a USDA federally licensed commercial dog breeder is nothing to be proud of. There is absolutely no guarantee that you will get a healthy pet because the breeder is federally licensed by the USDA nor does it mean the dogs living in these facilities are treated well, in fact, your chances of getting a poorly bred dog are very high. Kavin’s article does not talk about the litters after litters of puppies produced with genetic deformities that are not seen on vet exams and may not show up in the dogs for years, once the dog is part of a family. The article proudly showcases two high volume dog kennels as if they are the industry standard, but this is also very misleading, there is no industry standard dog kennel. 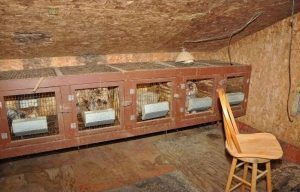 The below photos taken by USDA inspectors, during routine inspections and are a few examples of how different USDA kennels can be and the conditions dogs are allowed to live in. There are hundreds of these photos available to the public. USDA “breeders” are only required to provide minimal housing care standards for the dogs. Most people would consider these housing standards inadequate. They are not living in cages with fluffy beds or sleeping in baskets by the fireplace. 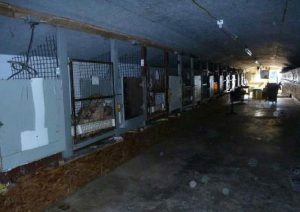 Please read the inspection report for one kennel where the dogs have been living in the dark. USDA inspectors are there to keep the “breeders” in business, very rarely do they close a “breeder” down for abuse or cruelty. They use Animal Welfare Act violations as “teaching moments” and are known to overlook abuse and cruelty. If you read the Animal Welfare Act you would see it lays out minimal care standards that to most would be considered basic survival standards. In fact, USDA inspection reports acquired, show the widespread lack of vet care and give reference to the daily abuse and suffering the dogs endure in America’s federally licensed USDA commercial dog breeding facilities. USDA reports testify, dogs were killed with metal pipes to the back of the head, where USDA inspectors did nothing but tell the “breeders” to use an approved method to kill the next time. Other USDA reports show “breeders” putting hydrogen peroxide in the water line the dogs drink from. Reports also show USDA “breeders” using expired medicine, bovine and swine treatments on dog’s skin as well as the practicing of veterinary medicine without a license. This is the truth about the USDA breeders and the regulation and oversight the article so proudly talks about. Usually, dogs being sold at auction are either sold to another mill, or a rescue may buy them. Most rescues who attend these horrific auctions are there to “save” the older sick spent breeding dogs because it is essentially the only chance these mistreated dogs have at being rescued. 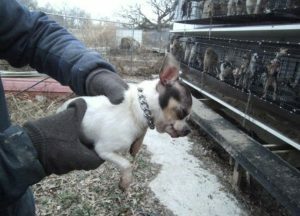 It is true that dogs have died at the hands of their “breeders” if they don’t sell at auction. The “Elusive Marketplace” as the article refers to rescue groups who raise money via non-profit status, fundraisers, and adoption fees are mostly doing the right thing for the homeless animals and overcrowded shelters located throughout the US, A small percentage is doing what she claims. She implies all rescues are run by people with high salaries, where adoption fees cover the cost of the dogs in their care and that the rescues make boatloads of money. She gives the impression rescues are scamming the public but that is far from the norm. She is using a very small group of rescues and tries to discredit the words saved, rescued and adoption. The public can see through the article. It is horrifying to see the conditions dogs from USDA federally licensed facilities are forced and allowed to live in, what they endure at these facilities and the stressful environment of the dog auction process. It is clear from the article that the “shadow market” pet industry is very worried about their future. Talk about consumer fraud, pet stores that sell puppies are the biggest offenders, misrepresenting the origins of the animals they sell. It is becoming socially unacceptable to buy a dog from a pet store. 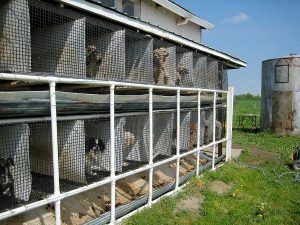 Over 250 US municipalities and 2 states have passed bans and legislation that stops the sale of dogs bred in these inhumane settings and it’s the USDA “breeders” this legislation is aimed at. 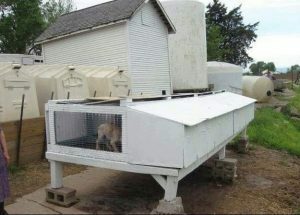 America is getting educated about puppy mills. Pet stores that sell puppies are on a decline and no longer the cash cow they used to be for the store owners and in turn the pet industry. It is clear that the pet industry is very worried and Kavin and her cronies are working hard to help undermine the rescue community because it’s all they have left. Dog Fight promotes and defends this brutal industry and unfairly misleads. I encourage anyone adding a pet to their family to be aware of puppy broker websites, do their homework, research the breed, breeder or rescue group, ask questions, meet the mother dog, see where she lives and never buy a pet sight unseen. * All photos shown in this article are from the USDA, taken during inspections. We don’t know the fate of the dogs in these photos nor do we imply they were sold at auction.